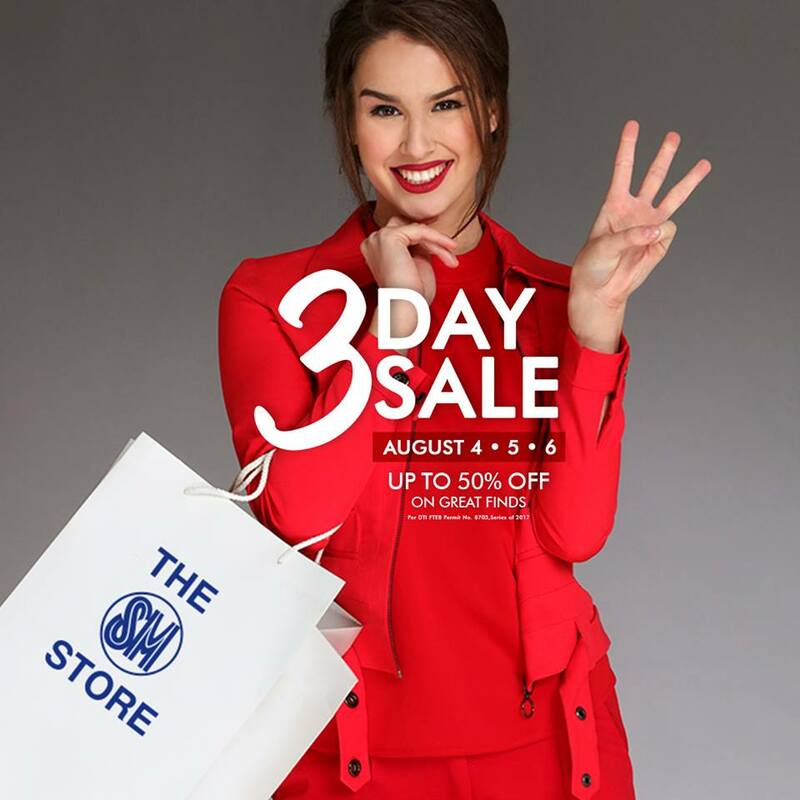 Discounts and awesome deals will be pouring at The SM Stores' 3-Day SALE happening on August 4-6, 2017 at The SM Store Southmall, Sta. Mesa, Masinag, Tarlac, and General Santos! SM Prestige and BDO Rewards Diamond and Sapphire members get an extra 10% OFF on all items on Friday, August 4, 2017. SM Advantage, SM Prestige, and BDO Rewards members get an extra 10% OFF on all items up to 12 noon on Saturday, August 5, 2017. SM Prestige, SMAC, BDO Rewards, MOM, Primo, SSI, and Love Your Body members get an extra 10% OFF at Final Hours Sunday Special from 5pm to 7pm on August 6, 2017. Plus, enjoy BDO rebates, a chance to win a Samsung TV from Globe, and exclusive SMAC offers. What's more? Get a mid-sized Ciao! Luggage for only P1,299 with a minimum P2,000 single receipt spend on all items. To all Quezonians, The Great SM Store Lucena 3-day SALE also happens on August 4-6, 2017! 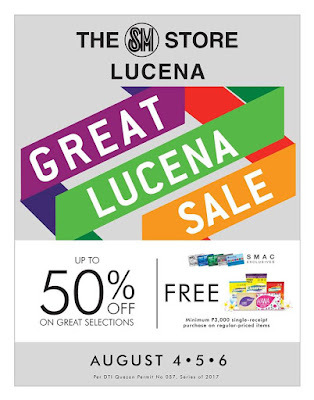 Get up to 50% off on great selections.